This sounds like valued time re-acquainting yourself with the garden after winter. How I look forward to rediscovering my “little wonders” too, but it will be a while yet as we still have a little snow and frosty ground. 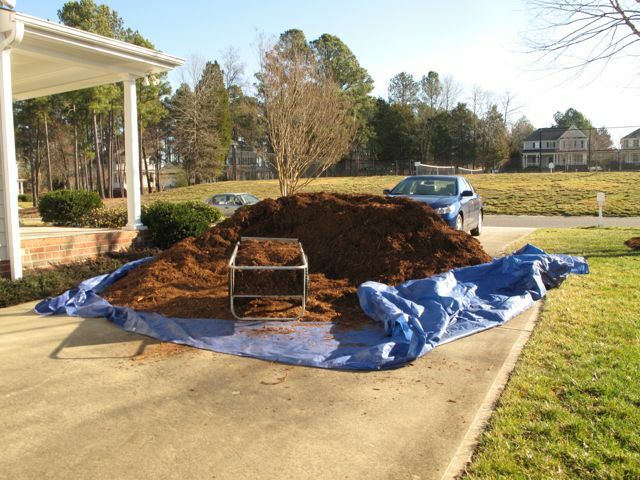 The rain may be a nuisance for you, but it will help all that mulch settle nicely! Happy gardening! 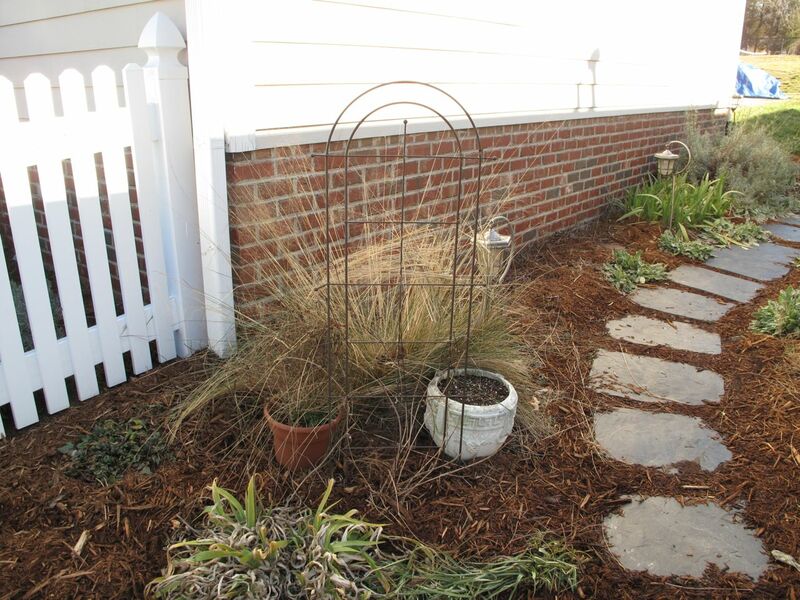 Oh No… not more ice & snow… I think in zone 7b Wake Forest NC our plants are becoming Schizophrenic! Plants indeed are amazing! Last time I checked the mention of ice/snow is gone. How do the plants stand these extreme temperature ranges though. Amazing. 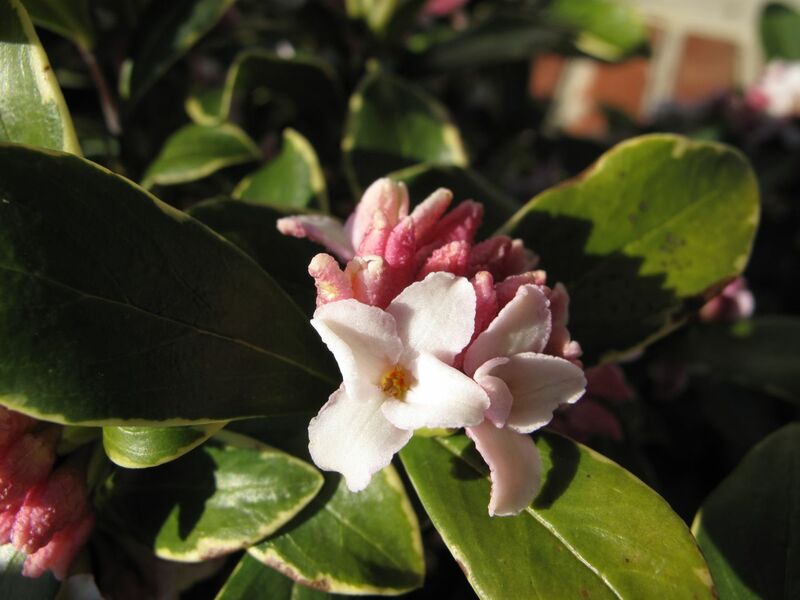 Nothing like gardening to the fragrance of Daphne! 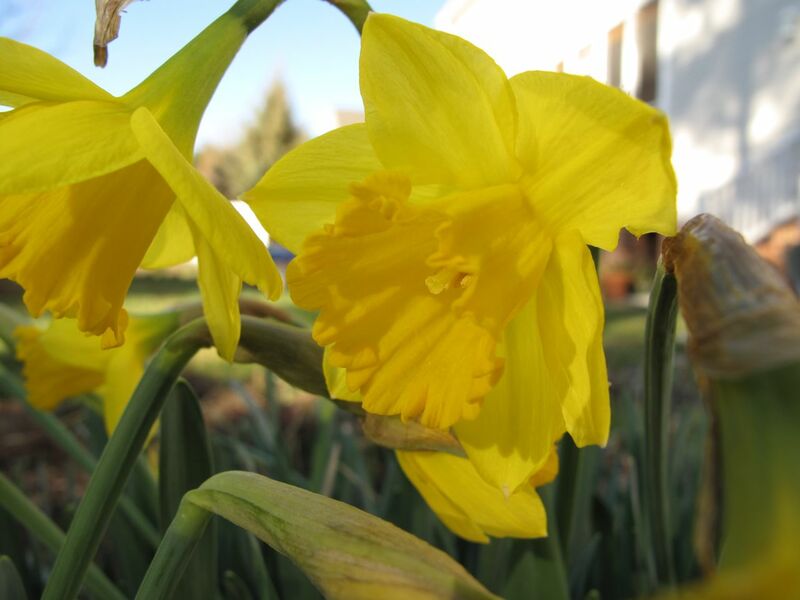 Great shot of the daffodil. I have a terrible time getting shots of those. Don’t you just love the scent of bee balm in winter? Thanks, I also have trouble getting images of the daffodils. Most just look flat. Beebalm and Daphne have been delightful. What bliss to be able to spend so much time in the garden! I am looking forward to grabbing an hour or two today. There are so many tasks that await me, I hardly know where to start. Hope you enjoy this day; it promises to be lovely! Thanks. Hope you enjoy your time in the garden today too! 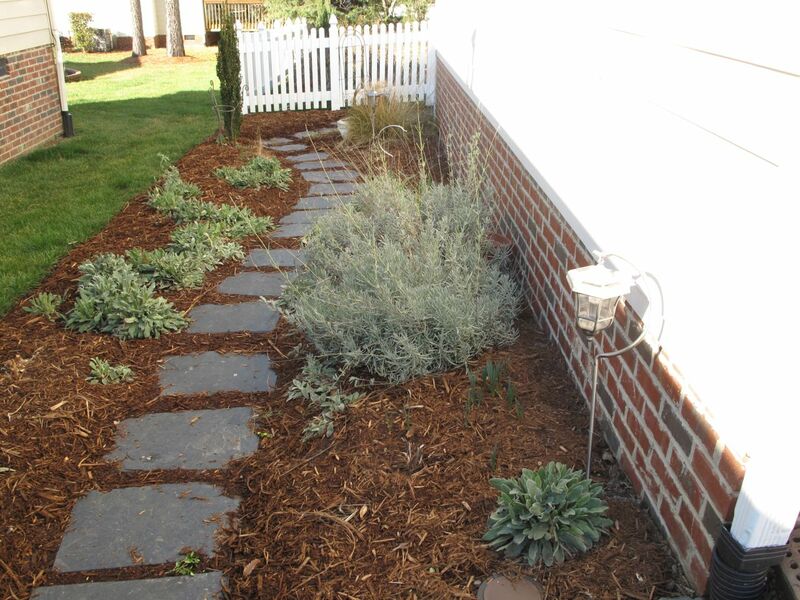 Wow you are certainly making headway and the garden looks gorgeous…. Thanks so much Donna! There’s so much left to do but guess that’s the nature of gardening. Only a true gardener can say the last two paragraphs (before Almanac). How’s your back? Thank you for that! I’ll try to live up to it. My back’s been surprisingly good and I attribute that to my yoga teacher. You have made such a difference, what a lot you have already moved and how nice that one of your neighbours came to help! We are still getting non stop rain here and further north in the UK, they are having one lot of snow after another, so we should think that we’re lucky! Hope you get a break in the rain soon Pauline. We’re in for another rainy day but tomorrow should be sunny and it will be welcome. Enjoy your snowdrops! You’re doing a fine job. I love the Hellebore – they always look too delicate for Winter but are such troopers! Thanks very much! When the weather clears I need to try to make another big push to finish and not get lazy. Yes, the little Hellebores are sweet and sturdy. 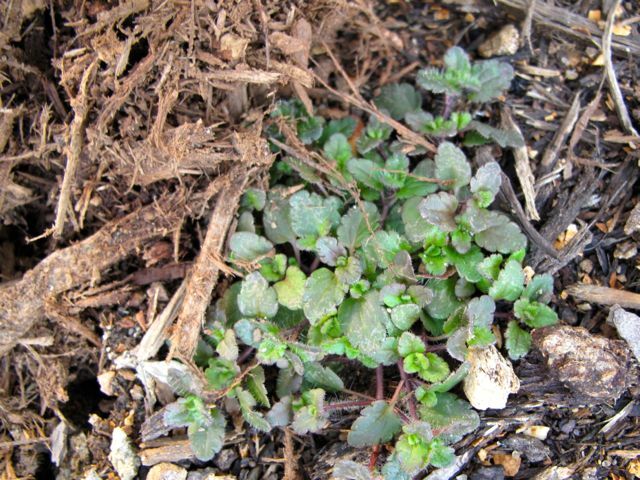 I’ve collected some of the new plants that have sprouted beneath the mother plants to use in other parts of the garden. Thanks for your visit.